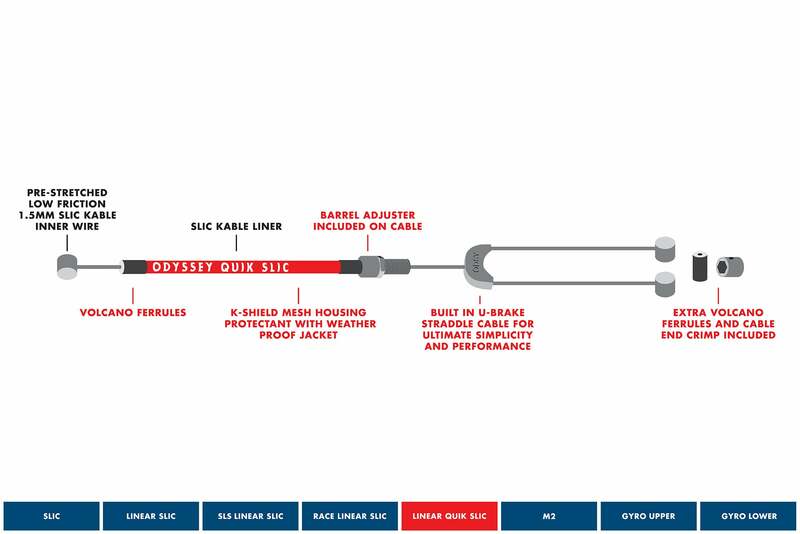 The Quik-Slic Kable® design eliminates flex in the straddle cable caused by bends, and the over or under-tightening of pinch bolts, resulting in snapped or slipping cables. It also saves money over machined straddle hangers that can look cool, but ultimately add a lot of flex. Its installation and removal of compatible frames and components is effortless. Hassle-free Adjustable Quik-Slic is also available. A “traditional” lever with a slotted barrel adjuster. A brake with open ended arms (Odyssey, Fly Bikes, Dia-Tech, Bicycle Union, Proper, Superstar, etc.). A brake boss to cable stop distance of 245mm, +10/-20. (measured from the center of the boss to the center of the cable stop). A split cable guide and a split cable stop (which can often be easily modified if they are closed). Since the Quik Slic has a fixed length we offer it in two sizes, MEDIUM or LONG, and both sizes come equipped with adequate housing to comfortably spin the bars all-the-way around once. Please note: the brake lever lug will be stamped with “M” or “L” to designate the size. 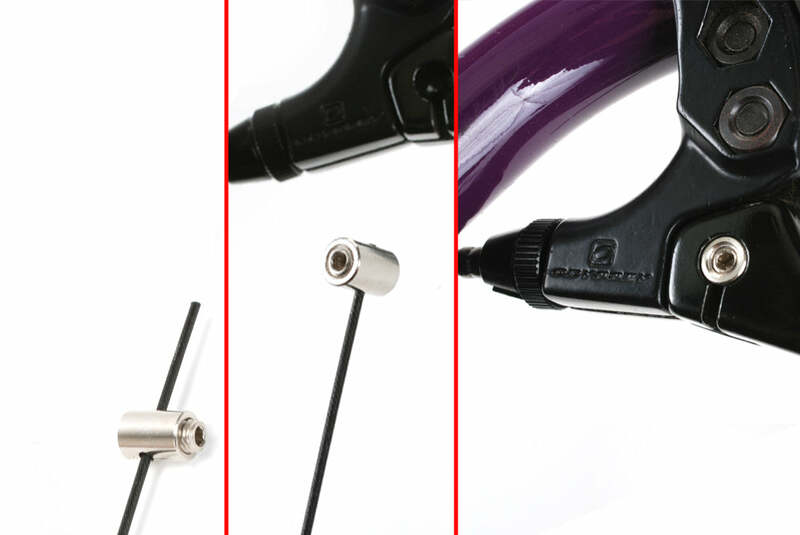 In the rare cases where the Quik-Slic cannot be fitted to your frame, we also include a specially designed brake cable knarp that is compatible with virtually every brake lever. 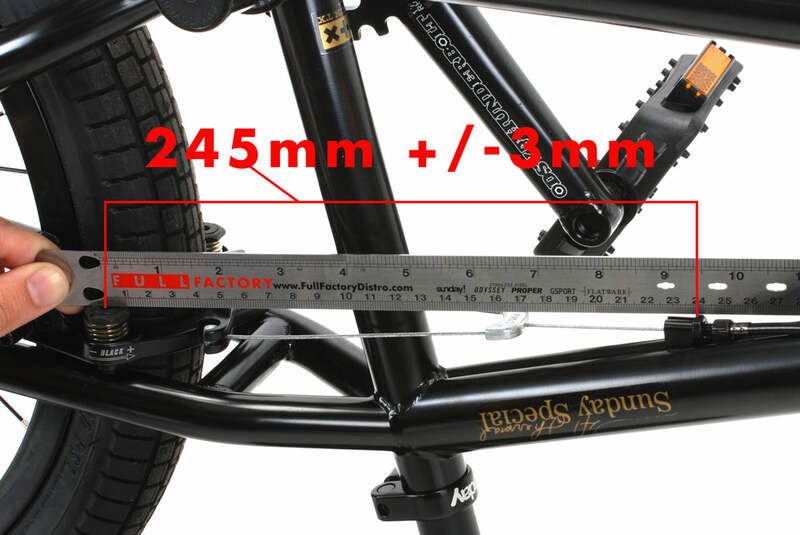 This will allow both the Medium and Long cable to be fitted to any frame, regardless of what the cable stop to brake boss distance is. 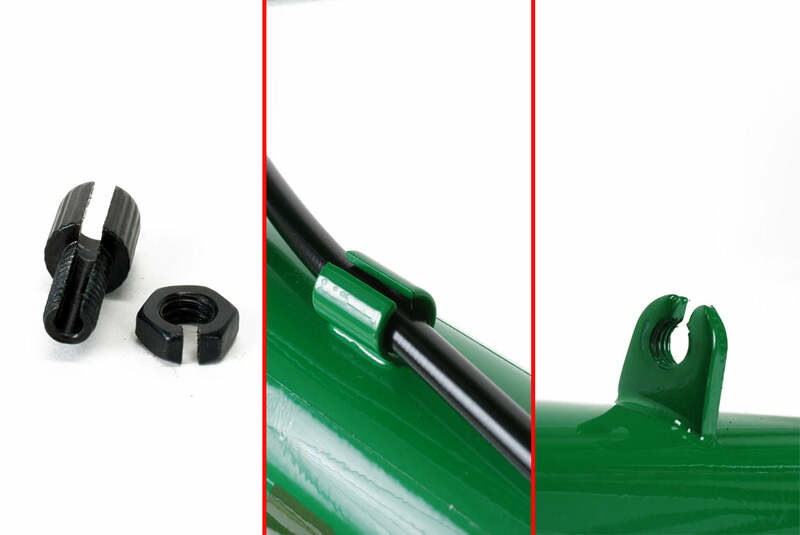 The knarp is designed to provide a very secure hold so that the performance and braking feel of the Quik Slic is maintained while allowing the inner and outer lengths to be adjusted to fit almost any frame. The knarp’s clamp strength matches the strength of a standard cable lug when it is tightened properly.